Personnel from the Greenville City Fire Department, Greenville Township Emergency Services, Greenville City Police Department and both Piqua and Burkettsville fire departments responded to the swine barn fire Oct. 25. 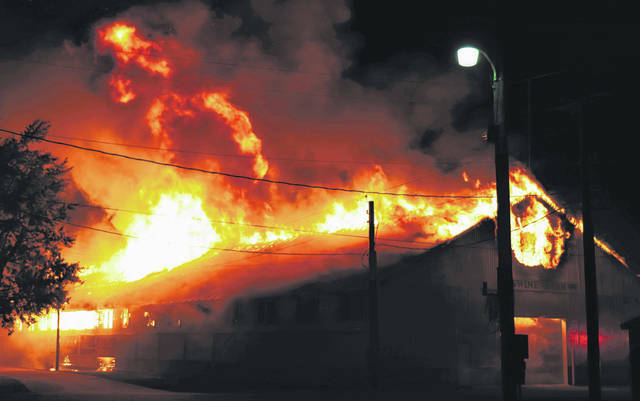 At approximately 9:15 p.m. Oct. 25 fire department personnel were dispatched to the Darke County Fairgrounds. Arriving units found the swine barn fully engulfed in flames. The Darke County Fair Board approved a contract with Bruns General Contracting to demolish the remains of the former swine barn. GREENVILLE — The Darke County Fair Board approved a 2019 budget and discussed the future of the proposed swine barn project at its monthly meeting Wednesday night. The board approved a 2019 budget of approximately $2.8 million. The board also approved a $36,455 contract with Ohio-based Bruns General Contracting for the demolition of the former swine barn. During October’s meeting, board members voted to contribute $3,000 toward a feasibility study for the potential $1.8 million construction of a new swine barn. The Swine Committee, Goat Committee and Darke County Barrow Boosters each had pledged an equivalent amount toward the total $12,000 cost. Amounts were later amended to $2,400 apiece after the Dog Committee voted to contribute to the cost of the study as well. 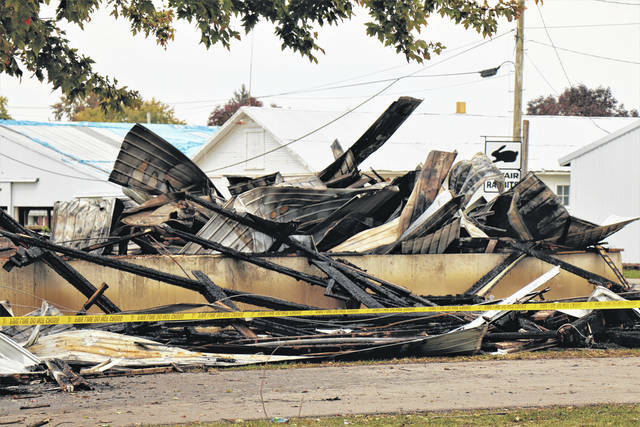 Plans for the new barn were called into question, however, following the fire Oct. 25 that destroyed the existing swine barn. According to Rismiller, investigators have taken what they need from the site of the former structure, and the investigation of the fire is ongoing. 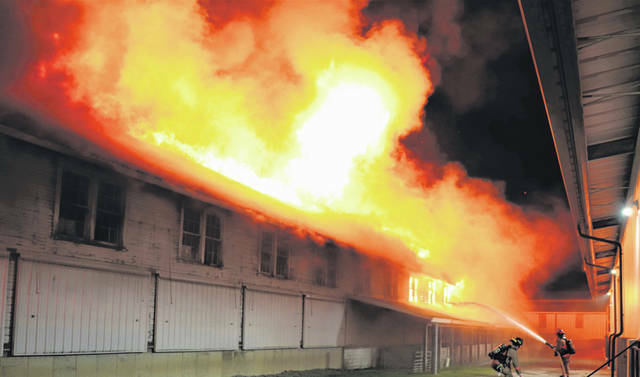 As previously reported in The Daily Advocate, at approximately 9:15 p.m. Oct. 25 personnel from the Greenville City Fire Department, Greenville Township Emergency Services and Greenville City Police Department were dispatched to the Darke County Fairgrounds in reference to a fire at the site of the former swine barn. Additional ladder companies from the Piqua and Burkettsville fire departments responded to the scene as well. Arriving units found the swine barn fully engulfed in flames and quickly worked to knock down and control the blaze. Mutual aid companies from across the county joined the battle, preventing the spread of the fire to neighboring structures. The swine barn was primarily being used as a storage facility at the time of the blaze with some of the property lost in the blaze including antique tractors, travel trailers, a sailboat and miscellaneous other vehicles. The Swine Department will hold a meeting to solicit bids for construction of a new swine barn Jan. 9, 2019. “We’re going to tell them what we’re looking for in a new building, and they’re going to go out and get us some bids,” Rismiller said. The board also discussed soliciting bids for possible security cameras to be placed throughout the fairgrounds but ultimately chose to table that issue pending further research. This entry was tagged Darke County Fair Board, Fair, fair board, Fairgrounds, Swine Barn. Bookmark the permalink.